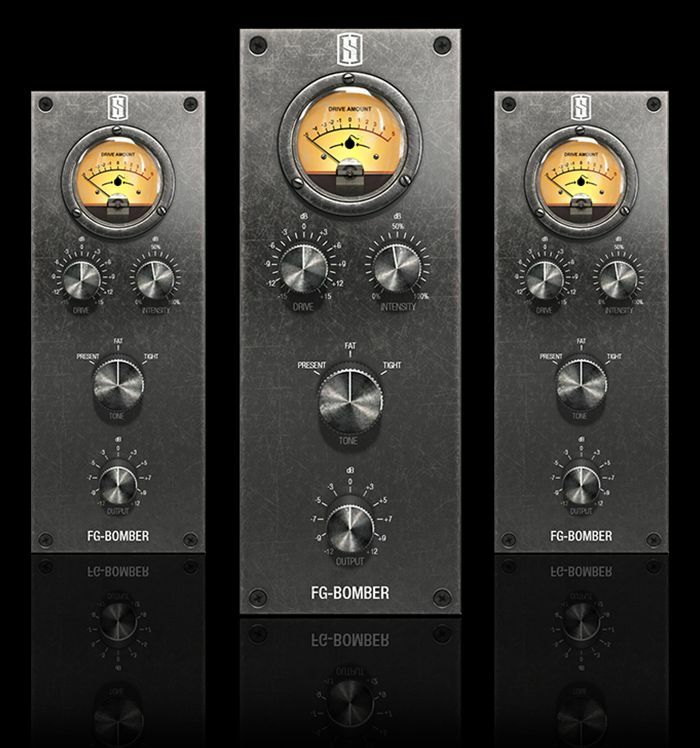 FG-Bomber is a unique analog-modeled Dynamic Impact Enhancer, and it can give your tracks and mixes more impact, authority, and excitement. It has the ability to make the elements of your mix ‘extrude’ from the speakers, adding a front-to-back depth that always translates, even to small speaker systems. 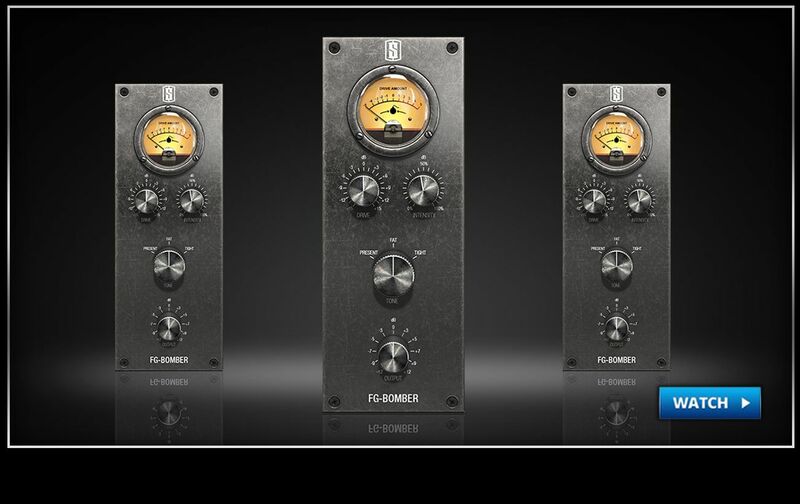 Under the hood, the Bomber uses one of our most complex fully analog-modeled circuit paths yet, consisting of special harmonic generators, compressors, saturators, filters and more. It’s an invaluable tool for managing dynamic material, and we often hear from customers that the Bomber can literally replace entire signal processing chains all by itself. Drive controls the amount of signal sent to the effect processors. The most impact is felt when Drive is adjusted so that the VU needle peaks at the little bomb icon, while more depth and sustain can be had by pushing it further. Intensity blends the effected signal with the dry signal. Small amounts of Intensity can create subtle impact, space, and depth, while large amounts can produce extremely punchy and fat-sounding results. Tone selects one of the three preset effect styles: Present, Fat, or Tight. Try each to see which one fits your current need the best.